Navajoite: Mineral information, data and localities. 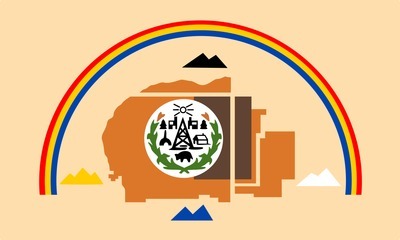 Named in honor of the Navajo Nation of Native Americans, upon whose reservation the type material occurred. This page provides mineralogical data about Navajoite. Weeks, A.D., Thompson, M.E., Sherwood, A.M. (1954) Navajoite, a new vanadium oxide from Arizona. Science: 119: 326-326. 4.HG.05 Fervanite Fe3+4V5+4O16 · 5H2O Mon. 4.HG.10 Huemulite Na4Mg(V10O28) · 24H2O Tric. 4.HG.15 Vanalite NaAl8V10O38 · 30H2O Mon. 4.HG.20 Simplotite CaV4+4O9 · 5H2O Mon. 4.HG.35 Delrioite CaSr(V2O6)(OH)2 · 3H2O Mon. 4.HG.50 Hendersonite (Ca,Sr)1.3V6O16 · 6H2O Orth. 7.12.10 Bariandite Al0.6(V5+,V4+)8O20 · 9H2O Mon. 7.12.11 Corvusite (Na,K,Ca,Mg)2(V5+,V4+,Fe2+)8O20 · 6-10H2O Mon. 7.12.12 Simplotite CaV4+4O9 · 5H2O Mon. 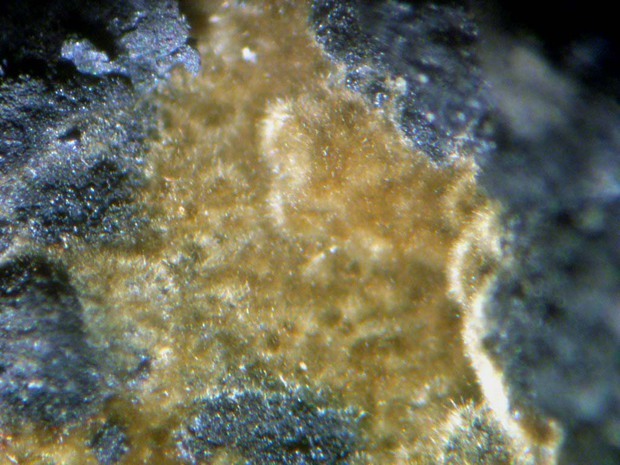 7.12.23 Kimrobinsonite (Ta,Nb)(OH)5-2x(O,CO3)x ; x near 1.2 Iso. Weeks, A.D., M.E. Thompson, and A.M. Sherwood (1955) Navajoite, a new vanadium oxide from Arizona. 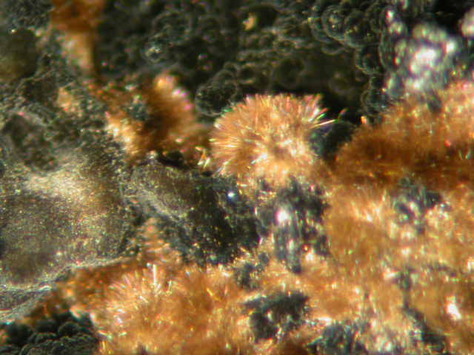 American Mineralogist: 40: 207–212. Evans, Jr., H.T., and Hughes, J.M. (1990) Crystal chemistry of the natural vanadium bronzes. American Mineralogist: 75: 508-521. Anthony, J.W., et al (1995), Mineralogy of Arizona, 3rd.ed. : 311; Witkind, I.J. & R.E. Thaden (1963), Geology and uranium-vanadium deposits of the Monument Valley area, Apache and Navajo Cos., AZ: 115, 117; Finnell, T.L. (1957), Structural control of uranium ore at the Monument No. 2 mine, Apache Co., AZ, Econ.Geol. : 52: 25-35; Young, R.G. (1964), Distribution of uranium deposits in the White Canyon-Monument Valley district, UT-AZ, Econ.Geol. : 59: 850-973; Weeks, A.D., et al (1955), Navajoite, a new vanadium oxide from AZ, Am.Min. : 40: 207-212; Weeks, A.D., et al (1954), Navajoite, a new vanadium oxide from AZ, Science: 119: 326; Ross, M. (1959), Mineralogical applications of electron diffraction.II. 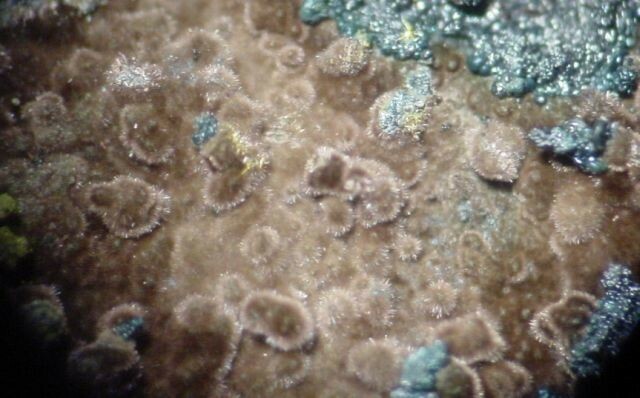 Studies of some vanadium minerals of the Colorado Plateau, Am.Min. : 44: 322-341; Galbraith, F.W. & D.J. Brennan (1959), Minerals of AZ: 34.